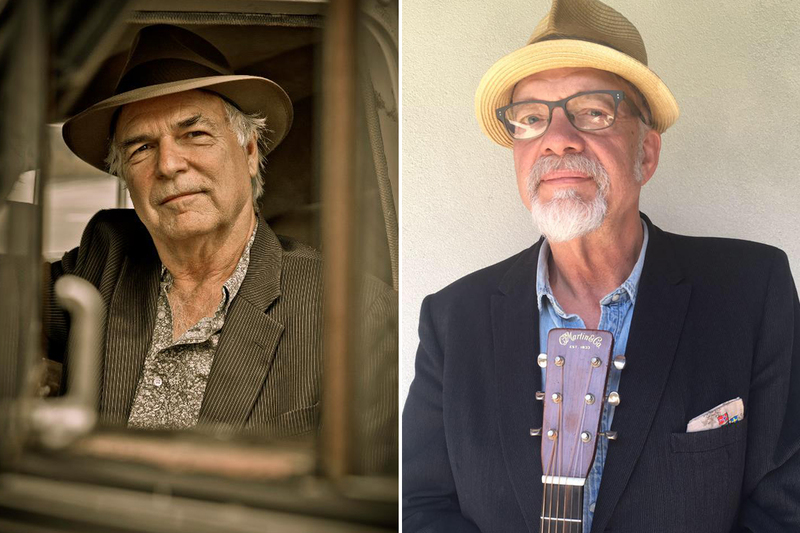 Nashville’s roots-music veterans grab the spotlight in this week’s Americana review column. Two of them are sharing the Disc of the Day award. One of them is the eternally esteemed David Olney. The other is Phil Madeira, who is taking a radical left turn into jazz with his excellent new project. Even the DisCovery Award winners have a vet connect. Rolling River Royalty includes Robert Jetton, who has been a Nashville fixture for 40+ years. Also lending class to this listening session were such old faves as James House and Doug Green (a.k.a Ranger Doug). – James has long been a shape shifter. He began as a pop act in the ‘80s, achieved moderate success as country artist in the ‘90s (”This Is Me Missing You”) and then became a highly successful writer for others (”A Broken Wing,” “Ain’t That Lonely Yet,” “In a Week or Two”). Now he’s a steamy blues rocker with a new billing and a new CD. His new voice is a hoarse, strangulated, urgent squall, and the tracks are hot stuff. Recommended. – I am a longtime fan of Nashville singer-songwriter Robert Jetton. His latest project is a collaboration with a neighbor named Wen Tilley. Their debut CD features tunes that “Robo” has written with Dennis Lord and Delbert McClinton, a pair of Haggard covers and two traditional tunes, as well as some of the songs he’s created with his new confederate. This one is tongue-in-cheek honky tonker that will have you tapping your toes and smiling like a loon. The sound is charmingly uncomplicated, clear and clean, featuring tasteful guitar work, lilting mandolin, steel, twang and sweet harmonies. – The title tune of this veteran’s new CD is a rumbling, echo-y, bluesy rocker. But all the cool, moody production in the world can’t change the fact that he sings in a white-boy folk voice. – This Music City sing-songwriter kicks off his new CD, The High Cost of Living Strange, with a bopping, fiddle-soaked, dark little vignette of meth addiction. It’s pretty “noir,” but pretty dang cool. – This man does so many things well. He’s been a stalwart of Emmylou Harris’s Red Dirt Boys band, an ace session musician, a respected contributor to the CCM genre, a hit Americana music creator and a songwriter for the likes of Alison Krauss, Amy Grant, Toby Keith and The Civil Wars. Now he’s a piano-based jazzman with a CD about the tribulations of his working-class New England homeland. This track is a dazzling accomplishment, just one of many on his Providence collection. Essential. – This ‘60s pop star has crafted a new EP that collects some of his longtime favorite songs. They come from the likes of Glenn Frey, Jack Tempchin and Roy Orbison. His own ballad, “Land of Dreams,” serves as the title tune. The set kicks off with this languid, soulful take on Jerry Butler’s 1964 oldie. – This sister duo has a flawless vocal-harmony blend and a strummy, acoustic-guitar sound. Think of a more folkie Judds. Their new CD, A Million Miles Away, begins with this gentle, airy, relaxing outing that will pleasantly lull your senses. In case you haven’t heard, their producer and songwriting collaborator, Byron Hill, is most deservedly being inducted into the Nashville Songwriters Hall of Fame this fall. – No, he hasn’t left Riders In the Sky. In fact, the other members of the group are very much a part of his “solo” Songs of the Frontier album. Four of the selections are traditional cowboy folk songs and all of the rest are so old they’ve slipped into the public domain, including this lovely 1844 tune that begins the proceedings. You’ll take a scenic audio ride into Americana western glories when you spin this disc. – This fellow has been a singer-songwriter on the Nashville scene for about a decade. The title song of his newest CD boasts a sincere, soft, tenor lead vocal and a swirl of layered pop instrumentation. Engaging, if not exactly rootsy. – This durable troubadour’s troubadour is back with another darkly expressive collection. As always, he is a mountain of vocal charisma as well as a stunning song poet. In addition to a clutch of originals, you’ll find a fascinating cover of The Zombies’ “She’s Not There” on the CD. The title tune waltz speaks of love until death to the accompaniment of sighing steel, chiming guitar and wistful harmonica. Check out the cast — Fats Kaplan, The McCrary Sisters, Charlie McCoy and the man’s own road warriors. This is a record to spend some quality time with, so get in line when it drops a week from Friday.